Like other Arctic destinations, Canada’s most northern province is a remote and cold desert. There is no road to Nunavut, and, within the province, getting out of the capital city of Iqaluit often requires a combination of transport such as float plane, skidoo, and dogsled. Nunavut is the traditional home of Canada’s indigenous northerners, the Inuit, and is sparsely populated, with only 32,000 residents living across the huge archipelago. While it may be largely empty and difficult to get to, Nunavut is enchanting. The northern lights fill the expanse of sky across the frozen white tundra, polar bears and walruses wander across ice floes, pods of narwhals swim around the boats while making their way through the Northwest Passages, and the beauty of the Inuit culture can be seen everywhere. Here are seven top experiences to have in Nunavut for a unique trip to the Arctic. 1. Stay in the most northerly fly-in lodge in the world. Weber Arctic is based out of Arctic Haven Wilderness Lodge, Nunavut’s only green-energy powered lodge, which is a 434-mile flight from Yellowknife, NWT. A second lodge, located on Somerset Island on the shore of the Northwest Passages, is the most northerly fly-in lodge in the world that houses an Arctic Library and Interpretive Center with local artifacts and 42-million-year-old fossils. The two locations offer a variety of packages, as well as the opportunity to create your own tours based on your interests, such as wildlife and nature sightseeing, fishing and boating, hiking, heli-skiing, and more. 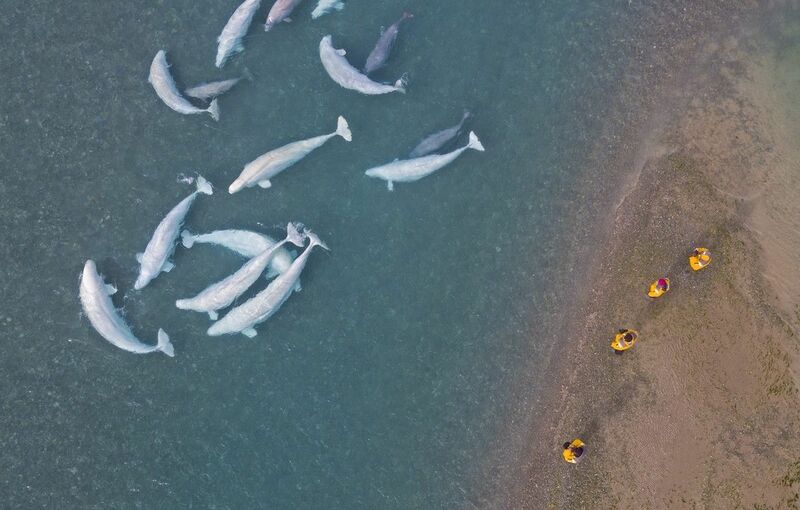 The existing packages include activities like kayaking with beluga whales, snowshoeing to wolverines hotspots, and unique Arctic dinner experiences; the in-house chef prepares fusion cuisine using local ingredients, such as Arctic char sashimi and tundra blueberry compote. Guests are invited to view the tundra’s changing seasons by helicopter and watch wild caribou herds migrating past the lodge’s windows. Both lodges are so far north that you are guaranteed almost 24 hours of sunlight in the summer, and total darkness filled with eerie northern lights in the winter. 2. Take a hot-air balloon ride above the top of the world. 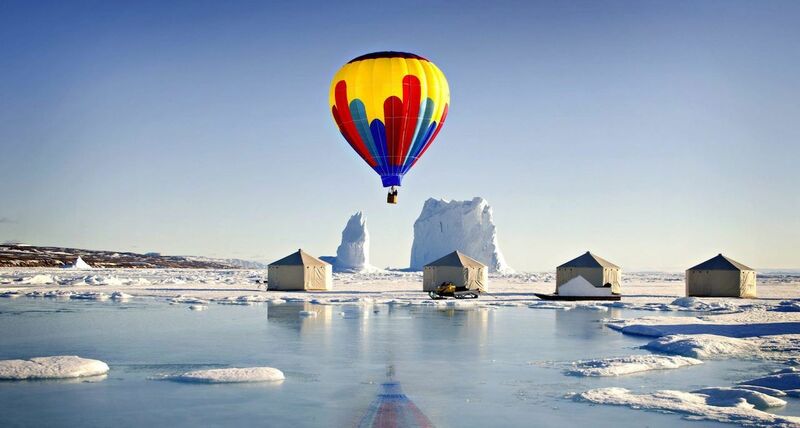 Arctic Kingdom allows you to book a private Arctic tour that features riding a hot-air balloon to the floe’s edge for truly spectacular views of the pristine Nunavut landscape. Helicopters are popular up north, but they are expensive to operate, scare the wildlife, and are hard to get into more remote areas. Balloons are economical, easy to assemble, and unaffected by the frigid Arctic temperatures. They also have the advantage of being non-polluting, which anyone who can see the rapidly-melting glaciers might appreciate. Watch polar bears hunting from an unprecedented angle and photograph the spot where frozen land meets open water with guides who are experienced balloonists. 3. Experience an Inuit Arctic spring camp in Cape Dorset. The Inuit “spring camp” is a way to reconnect with the land as it comes back to life. It’s also a way for young Inuit people to learn about their traditions and culture through participating in this remnant of a more nomadic time. Inuit traditionally camped in skin tents, but Huit Huit Tours offers a more luxurious option for guests: heated cabins, which are a perfect home base for trips by snowmobile and qamutik (dogsled). 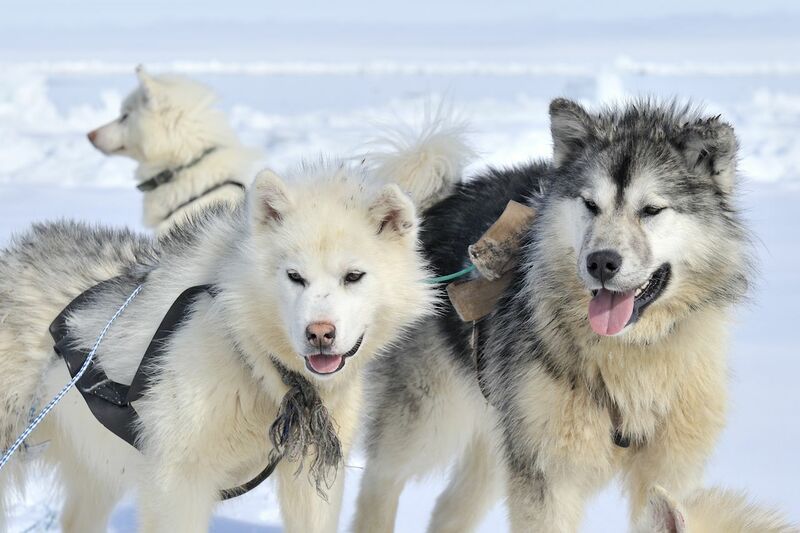 The tour company’s owners are a married couple; Timmun was born in a remote outpost and trained sled dogs for many years, while Kriistina was born in Finland but has lived in Cape Dorset since 1976. Guests can go ice fishing for arctic char, watch snow bunting and other birds return to the slowly-brightening landscape, and eat traditional foods cooked over open fires with water cut from a frozen river. Guides also teach about traditional Inuit handcrafts and history. 4. 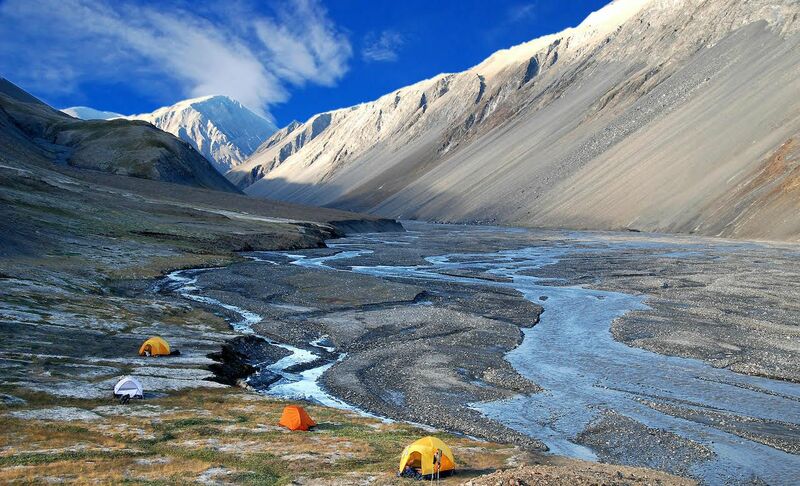 Hike and camp in Quttinirpaaq National Park. Nunavut is a welcoming place for campers; you can camp almost anywhere on the tundra, except around cultural sites, and all national parks have designated camping areas. The ground is permafrost, but there is an active layer above the permafrost that you can sink tent pegs into. You can also use ropes tied to rocks or otherwise anchored on top of the earth. One of the most beautiful and remote camping locations is Quttinirpaaq, Canada’s most northern national park. You can visit the park on your own but it’s only accessible by charter plane from Resolute Bay, so if you are traveling solo, the cost will vary according to the price of fuel. Park staff are only onsite between May and August, and polar bears are natural inhabitants of the park, so be aware of safety when you pitch your tent. If you prefer a slightly less rugged experience, Parks Canada has two insulated tents based at Tanquary Fiord, within Quttinirpaaq National Park, which include access to a shared kitchen and pit toilets. 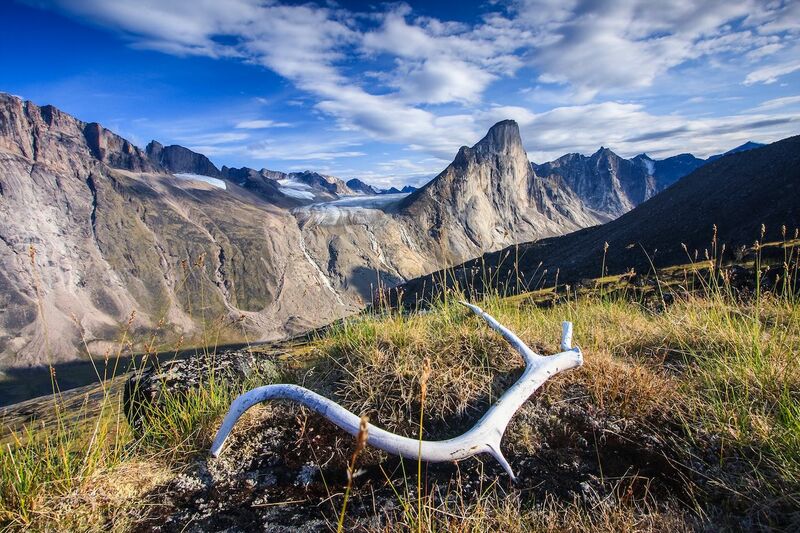 You can also join a guided group through a company such as Black Feather, which offers the Ad Astra Hike: a 15-day journey through the park with provided charter flights, where you will track migrating caribou herds and visit a “thermal oasis” in the center of the park. Be aware that Quttinirpaaq National Park is traditional land, so respect is of the utmost importance. 5. Check out the Alianait Festival in Iqaluit. 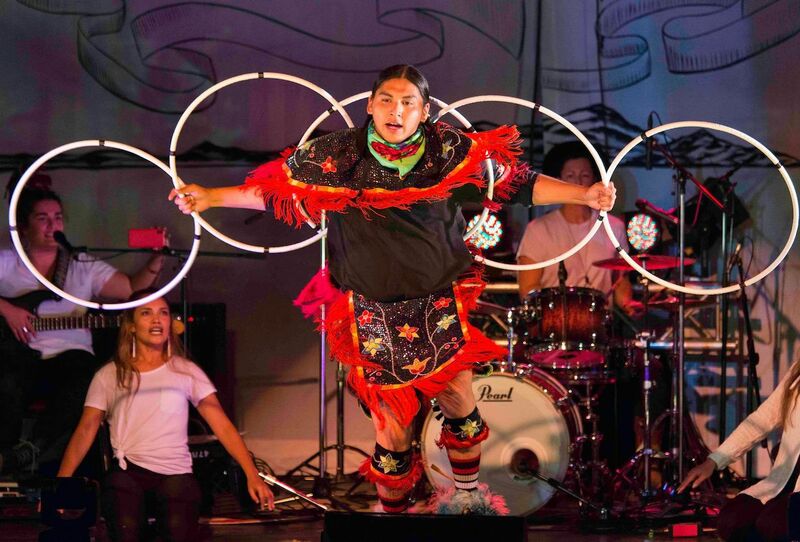 Alianait Festival is an arts festival that takes place every June, taking advantage of the 24-hour sunlight to offer performances, music, and traditional Inuit games well into the wee hours of the night. Performing stars such as Tanya Tagaq mingle with local bands, and you will hear a wide range of styles from traditional throat-singing to R&B. The goal of the festival is to present Inuit art as a continuous product rather than just old fashioned or traditional. Inuit are regularly creating art in new genres and media, including filmmaking, which the festival also showcases. If you’re looking for a similar festival but will be in town a little earlier, check out ToonikTyme, a performing arts and games showcase that happens every April. The festival has been running for 53 years, and references the ancestors of modern-day Inuit, the Tuniit (or Dorsets). 6. Explore Auyuittuq National Park on Baffin Island. This enormous park is accessible by boat from Pangnirtung in the summer. It’s home to Mt. Thor, the world’s highest sheer cliff. Nearby is the thematically-named Mt. Asgard, a double-peaked, flat-topped mountain that’s considered to be one of the most technical flat-wall climbs in the north. If you aren’t interested in climbing but you still want to explore, hike to more welcoming Ulu Peak with a local guide that you can hire via Parks Canada, or backpack, ski, or snowshoe (depending on the time of year) through Akshayuk Pass with an outfitter like Inukpak Outfitting. The park can be dangerously remote and there is a risk of encountering polar bears, especially along the eastern coast of the park, but the scenery is magnificent; the park’s waterways are home to packs of narwhals and ringed seals, and arctic foxes are everywhere. Be aware that you need permits to enter the park, as well as a safety briefing from Parks Canada. If you’re traveling independently, you must organize these for yourself in Pangnirtung or Qikiqtarjuaq. 7. 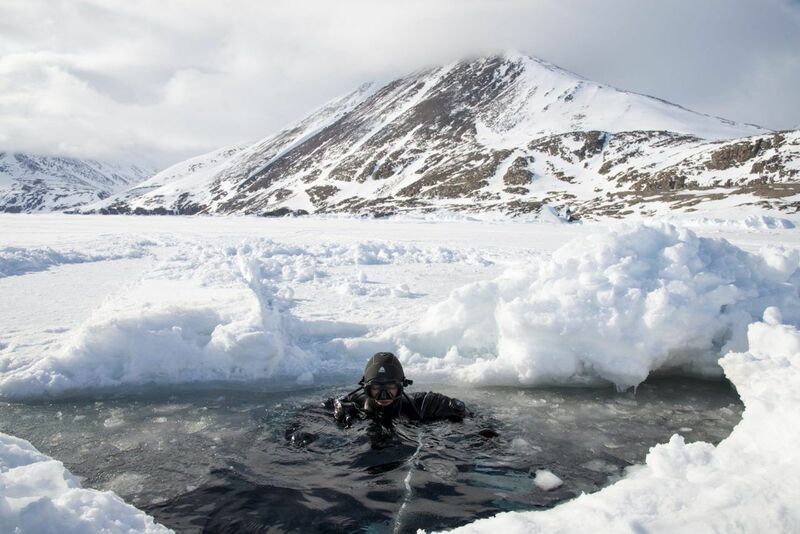 Go diving under the Arctic ice on Baffin Island. The last thing you might consider doing in a place where the water temperature never goes above zero is going diving, but that’s exactly what a few intrepid divers and snorkelers are doing. Local clam divers hit the waters year round, even in the winter when holes through the ice must be cut with a chainsaw. Arctic Kingdom is well-known for its extreme outdoors adventures in Nunavut, and offers a weeklong dive safari on Baffin Island. All Arctic diving equipment is supplied, and Arctic Kingdom can also provide drysuits if you don’t have them. Highlights include diving through seal holes or cracks in glaciers, and it culminates in diving inside an iceberg. If a week seems too long, a dive weekend in Frobisher Bay is also on offer. Guests can enjoy drift diving, river diving, and a tour of Iqaluit.